I currently have a two non-fiction/biography/memoir companion books published about Rasputin. The most recent, Rasputin: The Memoirs of His Secretary by Aron Simanovitch, translated and annotated by me (Delin Colón), is the English translation of the memoirs of my great-great uncle who was secretary and friend to Grigory Rasputin for a decade. My earlier book, Rasputin and The Jews: A Reversal of History, is the result of my fifteen years of researching sources who could substantiate Simanovitch’s claims of Rasputin’s aid to and advocacy for minorities, especially the oppressed Jews, as well as his account of Rasputin’s progressive and egalitarian ideas for social reform that caused the nobility to detest him. There are numerous groups of people interested in Russian history, Jewish history, and those who have a particular fascination with Rasputin. Both of my books present Rasputin in a different light than ever seen before, as a healer and humanitarian (even if he did like to party) who was actually the victim of a smear campaign by a greedy and power-hungry aristocracy. Why hasn’t this come out before? Think about who writes history: the powerful, the literate, the credentialed. Not the common man who, no doubt, has an opposing view of events and conditions. For example, while there are books about the subject, Russian history doesn’t often detail the ethnic cleansing that took place under the tsars, most often by the military. 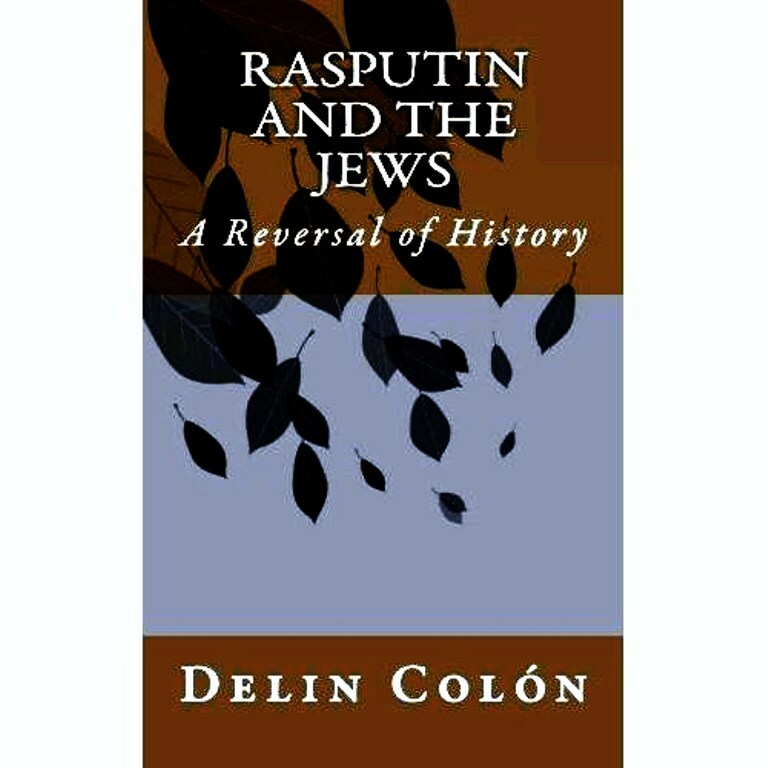 While Rasputin and The Jews: A Reversal of History deals with a more global and academic historical perspective, offering a view of Rasputin in a more socio-political context, Rasputin: The Memoirs of His Secretary is a lively, personal account of daily life with Rasputin as well as the gossip, plots and intrigues of Petersburg society. My footnotes to the memoir provide context and explanation. 3. How did you come up with the titles of your books? Originally, I wasn’t going to publish my English translation of Simanovitch’s French memoir. My intention was to garner further evidence for Simanovitch’s claims about Rasputin and publish a more researched book, focusing on Rasputin’s political views and aid to Jews. When Simanovitch first published his memoir in Russian (1928), it was titled Rasputin and The Jews. When it was translated from Russian to French, it was called Rasputin by His Secretary Aron Simanovitch. My guess is that, especially at that time, the French publisher felt having “Jews” in the title might impede sales. 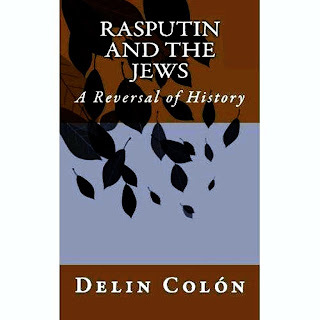 So, for the book I authored, I took a variation of Simanovitch’s Russian title and called it Rasputin and The Jews: A Reversal of History. When I decided to publish my translation of Simanovitch’s memoir, I went with a variation of his French title, calling it Rasputin: The Memoirs of His Secretary. For the memoir translation, I was very fortunate to strike up an exchange with graphic designer Siri Nadler (http://cargocollective.com/siricreative) to whom I had complained that I was too busy editing Rasputin: The Memoirs of His Secretary to be concerned with the cover which just seemed like a looming burden. I placed myself completely in her hands and as I worked on the manuscript, Siri sent me a variety of options for the cover, any of which I would have been happy with. I had her choose the one that she liked best, which I thought was stunning, with its mustard, leather-look background, the old Russian scrolling, and the red and black ornate lettering. It was an absolute blessing for me not to have to think about the cover and to be able to concentrate on the manuscript. 5. Who is your favorite person in the memoir and why? It would seem obvious to say Rasputin is my favorite person and Simanovitch did affectionately depict him as lively, principled, and complex but humorous. However, I was very drawn to Simanovitch, not only because he was my great-great uncle, but because of his commentaries on the mentality of the aristocracy contrasted with that of the peasantry. Although he often exaggerated his own importance, he had interesting insights into the dynamics of the different social classes. Simanovitch also had no qualms about describing Rasputin’s wild night life which he shared, nor did he hold back on any of the juicy court gossip of the time, some which he apparently believed. Simanovitch was a jeweler by trade (one of the few Jews allowed to live in Petersburg), but also ran several gambling clubs, a profession not kindly looked upon by the upper classes. I enjoyed the fact that while Simanovitch bragged about some parts of his life, he also freely admitted some of his fears, weaknesses and mistakes. 6. How about your least favorite person? What makes them less appealing to you? My least favorite person whom Simanovitch described is the Tsar’s uncle and Commander of the Russian Armies, Grand Duke Nikolai Nikolayevich Romanov. He was such an avid anti-Semite that he accused all Jews of being spies during World War One and, in the course of retreating after military defeats, encouraged the torture and slaughter of entire villages of Jews. He was ruthless and bloodthirsty. One interesting fact is that while the aristocracy spread exaggerated or fabricated accounts of Rasputin’s drinking and womanizing, they themselves consumed champagne and vodka by the case, and many in the court, government and upper classes were afflicted, due to promiscuity, with venereal diseases which were so rampant at the time that the newspapers were filled with advertisements for cures. One historian even noted that if Rasputin had been born into nobility, no one would have thought anything of him drinking or philandering. Another interesting fact is that more than a hundred people a day lined up at Rasputin’s apartment door to request help or favors of some kind. Many Jews who were denied educations (only 3 to 5% of university students could be Jewish) by law obtained notes from the Tsarina due to Rasputin’s intervention, permitting more Jews than allowed by the quota to be educated. He also helped people who had been unjustly imprisoned and people who wanted to live outside The Pale of Settlement that most Jews were confined to. In addition, he helped the poor by demanding that the wealthy who came for favors (promotions, titles, awards, etc.) empty their pockets and give money to the poor who had come for help. Rasputin also saw to it that his daughters had the best possible schooling in Petersburg. He always went home to Siberia in the spring to help with the harvest on his farm, and his wife came to visit him once a year or so while he stayed in Petersburg. She was very proud of him and the attention that society women paid him. When asked if it didn’t bother her to have so many women fawning all over her husband, she reportedly smiled and said he had plenty of love to go around for everyone. Rasputin adored her and treated her with great respect. I was very impressed with another memoir, The Accidental Anarchist by Bryna Kranzler who also edited Rasputin: The Memoirs of His Secretary. Bryna had taken the diaries of her grandfather, a Jew in the Tsar’s army during the Russo-Japanese War (1904-1905), and edited the three dozen composition books of his Yiddish notes into a memoir as good as any action/adventure/suspense/historical novel, with some dry humor thrown in. Both memoirs cover the subject of Jewish history in tsarist Russia from the perspective of and in the voice of men who lived it. I’m not sure how unique it is, but I enjoy doing collage art – cutting various shapes out of colored construction paper and creating an abstract design by pasting the pieces onto a background. A few of my works are on the Fine Art America site. I also talk to myself a lot. I don’t think that’s a talent, but it could be a hobby. Rasputin movies seem to be returning to popularity. I’ve been considering writing a screenplay, although it will tell quite a different story than any other movie about him. In the interim, I’ve taken on some jobs editing the work of other writers. Frankly, I don’t know what to expect from myself in the future, but I know it’ll come to me when the timing is right. The obvious response is “Please write a review!” They’re always appreciated. Give the books as a gift, recommend them to friends and reading groups, tweet about them — in general, make as much noise as you can about them. Authors (especially lesser known ones) aren’t exactly the wealthiest sector of the population, so we can use all the help we can get! 14. Do you have any advice for other writers trying to get published? Whatever you’re working on, go at it doggedly and edit, edit, edit. I don’t write fewer than half a dozen drafts of a piece. After you’ve edited your manuscript, get a professional editor – a developmental editor to lend a critical eye to the structure and logistics of the work. If you’re going to self-publish, don’t use any of those presses that charge a fee or force you to purchase a certain number of volumes. Print-on-demand can be done for free. The only fees you should have to pay are for extra services purchased, such as formatting or cover design, but one can learn to do those things. Most importantly, writing the book is the easy part. It’s finite; there’s a beginning and an end to the process. Promoting and marketing the book is an endless and full-time task but there are resources available on LinkedIn author discussions, Goodreads, and many other sites. It’s wise to establish connections with other authors who can be very helpful with any questions or suggestions. Allow me first to say a few words about myself: For more than 10 years, I occupied a position, in Petersburg, that one could certainly call ‘unique’. For the first time in Russian history, a simple Jew from the provinces was received by the Royal Court and had some influence over affairs of state. The upper classes of that time posed no serious obstacle despite their profound anti-Semitism. They sought my advice and assistance even though I was a Jew; however, most of my activities consisted of trying to aid my oppressed people, and lighten their load. I was an established jeweler in Kiev and knew many influential people. Living in the provinces, I acquired a lot of experience in dealing with the police and other bureaucrats. I became adept at the art of manipulating these state officials. However, life for all Jews in Kiev, meant tolerating all sorts of vexations and humiliations. So, in 1902, I moved to Petersburg, temporarily leaving my family in Kiev to manage my thriving business. In Petersburg, I often met people for whom I previously had performed important services. Most had not forgotten my assistance and remained ready to oblige by helping me to get established in the city. Due to several among them, I was later able to escape certain death, as well as save the lives of my children. In 1905, at the first worrisome reports of a pogrom in Kiev, I hurried back to join my family. My stores had been ransacked. My business managers and many of my relatives had been massacred. My own life and that of my immediate family were in grave danger. But General Mavrin, who led the pogrom, and Zichotzki, the police prefect, took us under their protection and, thanks to them, my family and I escaped to Berlin. As we were leaving Kiev, in front of the synagogue, we saw the corpses of Jews massacred during their holy service. This horrible spectacle left such an indelible impression that, after arriving in Berlin, it took me some time to recover. It was then that I firmly resolved to engage in the struggle, using any and all means, to defend the lives and rights of myself, my family and my fellow Jews. I decided to actively support the causes and interests of my people. Only now, and for the first time, am I making a public report of what I attempted and accomplished, taking full responsibility for my actions, and ready to accept any attacks or accusations. Thank you Delin for taking part in my Author Spotlight interview! I hope your writing continues to flourish and we hope to see more of you in the future. Russian history fans should like it. Very nice post. I just stumbled upon your blog and wanted to say that I have really enjoyed browsing your blog posts.After all I’ll be subscribing to your feed and I hope you write again very soon!